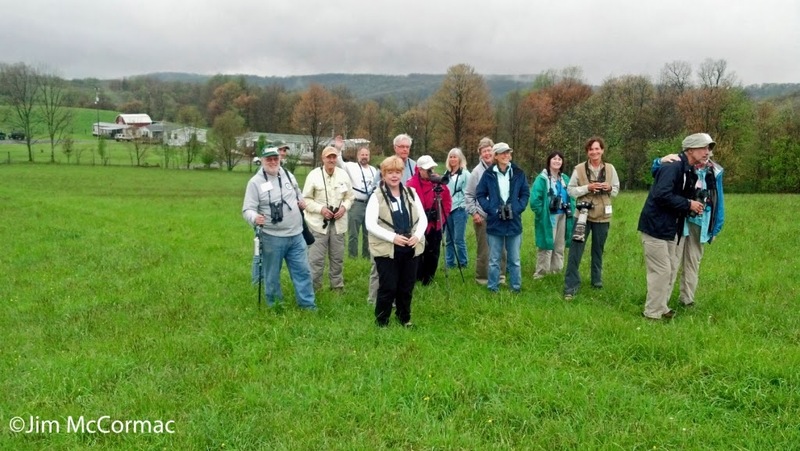 Ohio Birds and Biodiversity: New River Birding & Nature Festival! 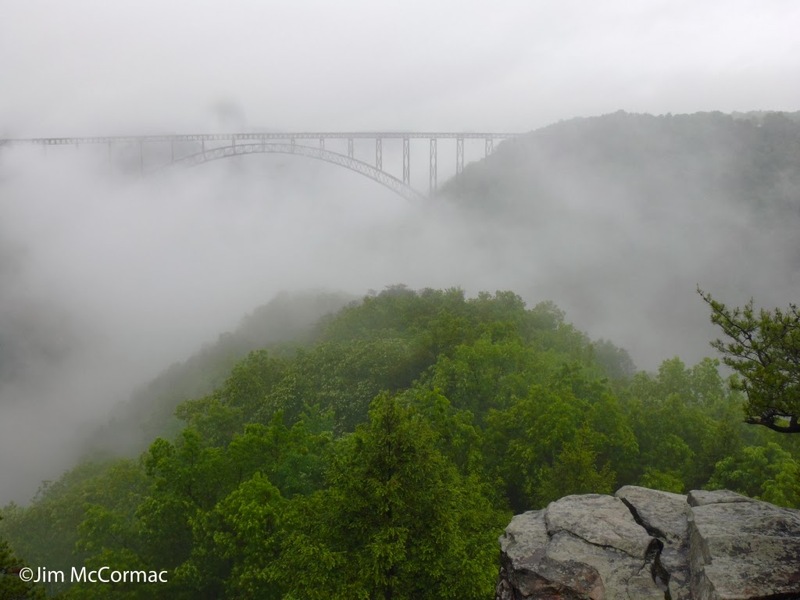 The world famous New River Gorge bridge, as seen from Long Point on a misty May morning. It's high time to get spring's schedule straight, and high time I plugged the New River Birding & Nature Festival! 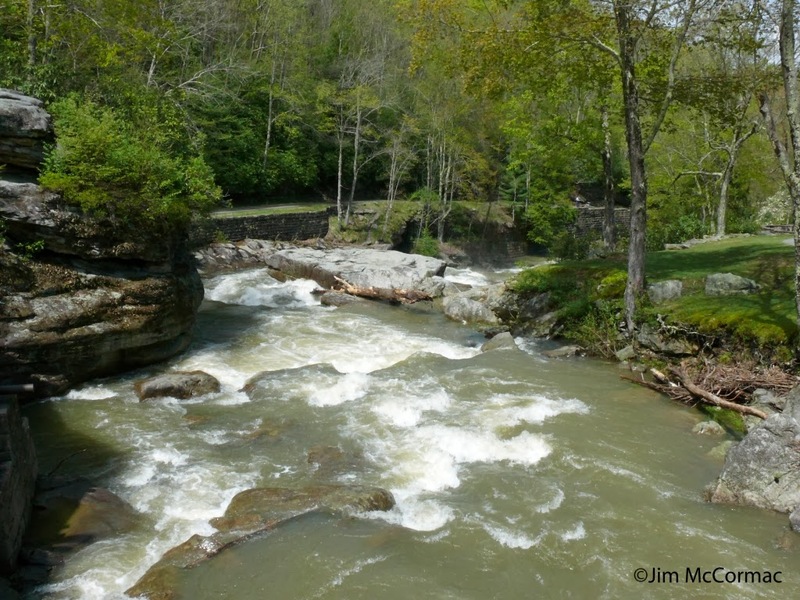 This event is centered on one of North America's great biological hotspots, the ancient New River at Fayetteville, West Virginia. This year's dates are April 28th to May 3rd, and if you want to start spring off with a bang, make this scene. The festival has no peer when it comes to beauty of the scenery, biological diversity, and quality of the guides and speakers (possibly excepting your narrator). Following are some photos of what you can expect to see; for the complete festival low-down, CLICK HERE. A rushing stream cuts through Babcock State Park, one of our many field trip destinations. We find many species of interesting birds here, and lots of cool plants, including pink lady's-slipper orchids. There are NO bad field trips, and whether you attend for part of the week, or the entire week, you'll end up with an impressive species list. This slope, just uphill from the previous shot, is carpeted with snarls of great rhododendron overtopped by eastern hemlock and yellow birch. Black-throated Blue Warblers breed at this exact spot, and not far away and in similar haunts nests that most coveted of West Virginia warblers, the Swainson's Warbler. I've been guiding at this festival for the better part of a decade, and once the organizers (Dave! Geoff! Keith! Rachel!) figured out that I knew plants, I drew the plum field trip assignment ever since: Cranberry Glades! 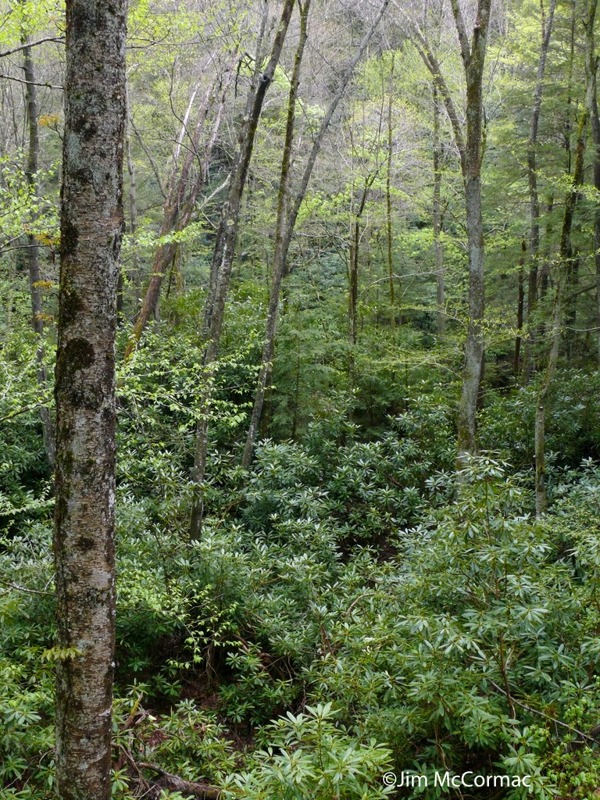 This jewel of a spot is nestled high in Monongahela National Forest, and is a naturalist's dream. The red spruce and cranberry bog is full of boreal birds near their southernmost nesting limits. Cranberry Glades isn't just famous for its birds. Indeed, the complete name of our target area is the Cranberry Glades Botanical Area, and with just cause. 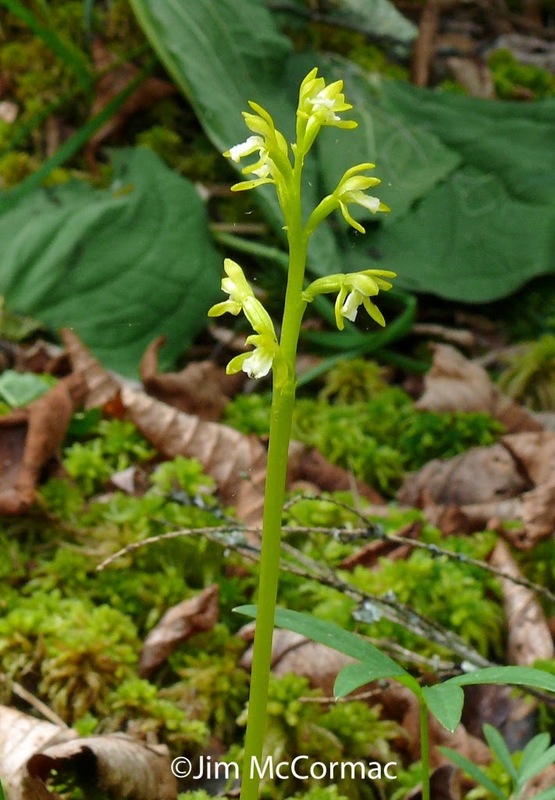 The bog is full of interesting and rare flora, such as this tiny northern coralroot orchid. Larger showier fare includes Bartram's serviceberry and painted trillium. This mountaintop field has awed many a birder. It is filled with courting Bobolinks, and their bubbly R2-D2 songs are especially inspiring given the grandeur of the scene. 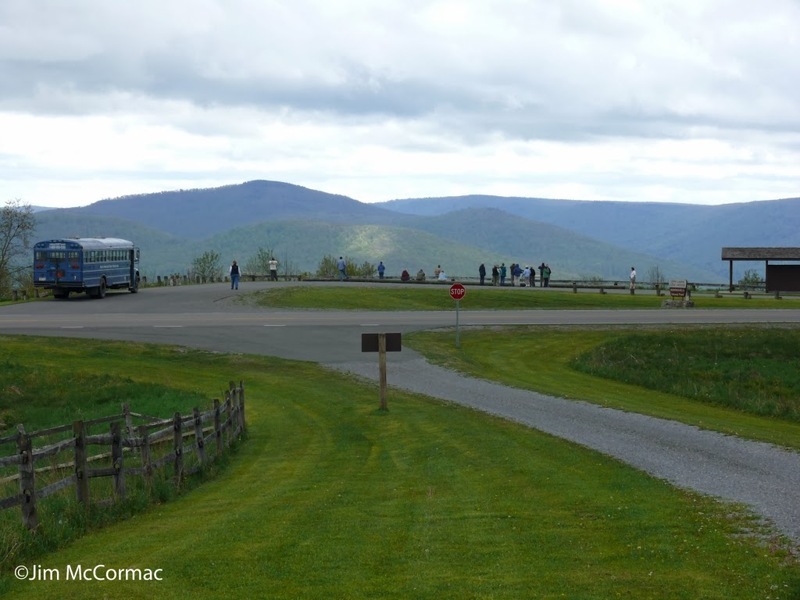 When the Cranberry Glades trip is done with the bog and boardwalk, we head off down the mountaintop highway. 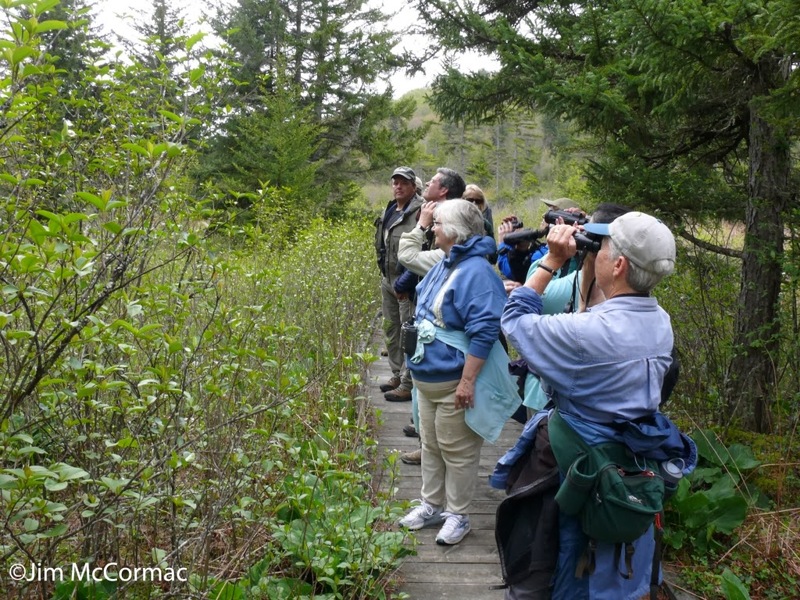 This group was especially happy because we had just seen, heard, and studied a territorial Mourning Warbler. It was but one of about 27 species of warblers you might see, including Cerulean and Golden-winged warblers. 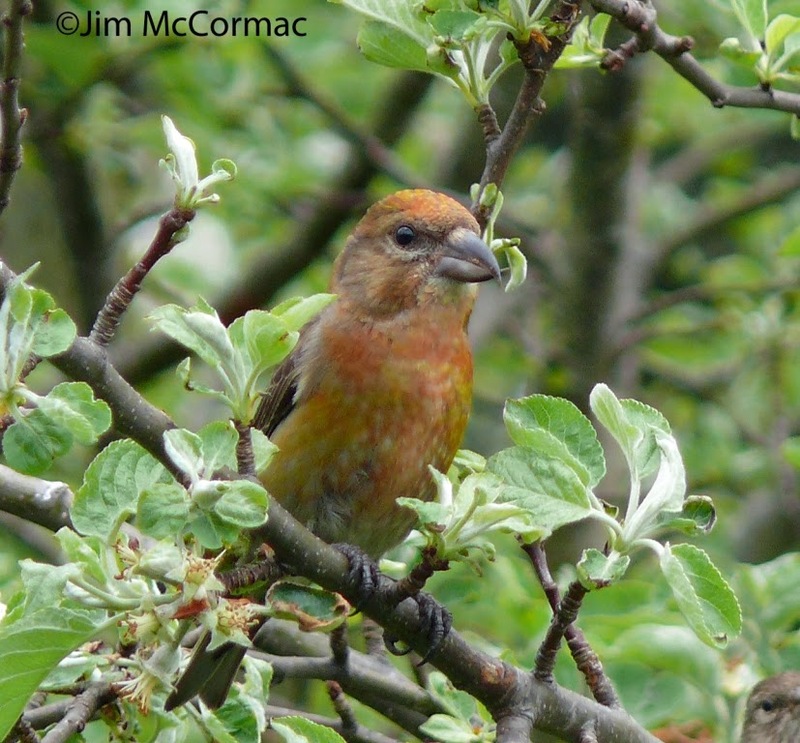 Another specialty of the spruce-clad mountains around Cranberry Glades is the local population of Red Crossbills. They breed up there, but as is typical of crossbills, they are nomadic and one never knows where they'll be from year to year. But the chances of finding some are decent. Even if we don't, you'll experience a nearly overwhelming immersion in nature, made comprehensible by good people-friendly guides who really know the area. I hope you can make it, and CLICK HERE for registration information. If you want to read more firsthand accounts and see plenty of photos, type in New River in the search box in the upper lefthand corner of this page. I've made many posts about this festival in past years.